Since 1908, the Sewanee Civic Association and its precursors have believed in the power of area citizens to help sustain community projects and programs. Since 1943, the Sewanee Civic Association organizes the Community Chest, which now raises tens of thousands of dollars for local groups that serve the common good. 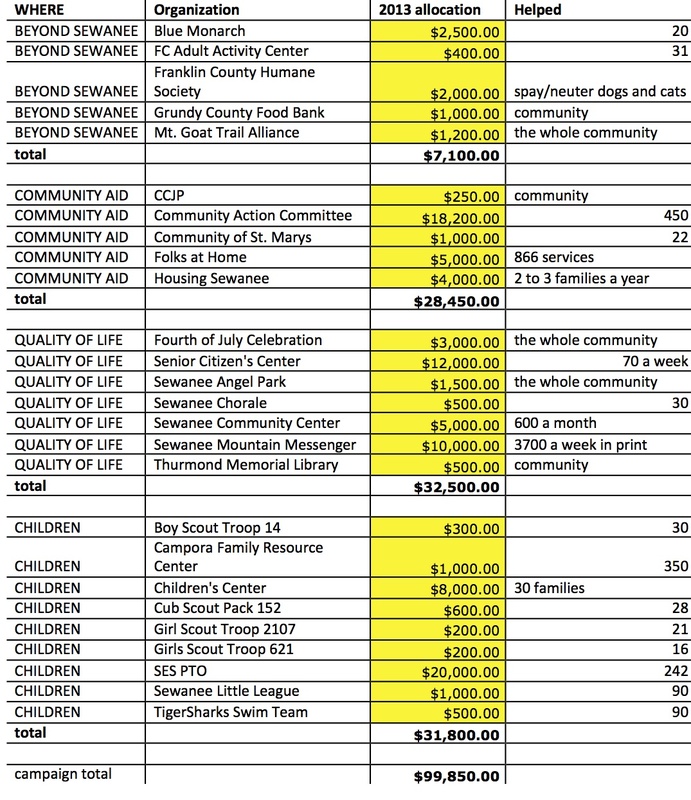 Last year the Sewanee Community Chest, a 501(c)(3) non-profit organization, supported youth sports, outreach, and many community and educational programs in the tri-county area. We helped to fund 26 organizations with $99,850. Just click on the graphic below to make it larger.